Nothing can provide better protection than video security camera systems. Today’s systems can be “tailor built” to suit every individual need and with Internet availability you can have absolute control almost anywhere you go. 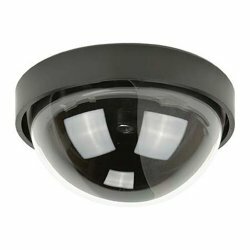 Security Camera King features several different video security camera systems in our on-line catalog of security equipment. In the not to distant past, video security camera systems were tools that only a commercial or industrial business or a very wealthy household could afford. That is no longer true, thanks to incredibly reduced prices, mostly attributed to the “digital revolution.” As computer and electronic technology advances, components become smaller, more powerful, and less costly. This holds true for the digital video security system industry as well. In fact, not only have video security camera systems become smaller, more powerful, and less costly, but the components themselves are becoming like self contained mini-units which makes installation incredibly easy. For most systems all that is needed is to mount the cameras and power supply, run the cables, and set up the Digital Video Recorder or DVR. It has become so easy that you can install most complete systems as a do-it-yourself project in one weekend or less. A standard video security camera system today consists of digital video cameras and a DVR. Of course, many users prefer to use a full-time monitor to display the cameras’ images, but it is only truly necessary to set up the system. After that, the monitor can be removed and the system can continue to operate with the settings you have chosen. The operation of video security camera systems is pretty straight forward too. The camera’s main function is to capture video (and audio if so equipped) and send it to the DVR. The DVR stores the video and makes it available for viewing. The monitor provides the means of output for the system; it displays the cameras’ captured video. Are video security systems really that simple? Well yes and no, but thanks to digital technology, the units can be constructed in such a way that the user doesn’t really need to concern himself or herself with the actual mechanism of function; they just need to make sure everything is placed (mounted) in the proper locations to make the system work. The following is a closer look at how the video security camera system works. We’ll begin with the digital video camera. Inside each digital video camera is a sensor that can change light energy into measurable impulses of electricity. There are two different sensors that function in two entirely different ways, yet produce the same end result, electronic video data. The sensors are called a Charged Coupled Device or CCD and a Complementary Metal Oxide Semiconductor or CMOS. After the sensor converts the light energy into electrical energy, that energy is sent through a series of on-board Integrated Circuit (IC) chips that interpret the electrical impulses. These may include Digital Signal Processors or DSPs and analog-to-digital converter processors. Once the data is prepared and digitized it is ready to leave the camera and travel to the DVR. The DVR receives the digital video from the camera but it is in “raw” form, meaning it has not received fine tuning adjustments or the proper compilation of the data to create a digital video file. The DVR has its own DSP and central processor that immediately begin to work on the data sent by the cameras. The cameras’ data is analyzed and any fine tuning adjustments are made by the DVR. Next, the DVR employs a COmpression/DECompression (CODEC) utility that has one specific purpose; the CODEC reduces the video image file to a fraction of the original size while maintaining a minimal loss of quality. There are many different types of CODECs. As technology improves, a newer CODEC is eventually produced, “out shrinking” digital video files as compared to the previous CODEC. Security Camera King’s video security camera systems all use the latest and most efficient CODEC called “H.264.” It provides maximum file reduction while maintaining video quality as much as possible. After compressing the data the DVR creates a digital video file and saves it on its hard disk drive. In addition, the DVR makes the file immediately available for viewing on a monitor. If you are interested in purchasing a video security camera system, check out our on-line catalog or contact us by “Live Chat” or telephone and speak to one of our security experts today.